Stickers – Labels for business use. Clear or White. 1 or 1 million or more. 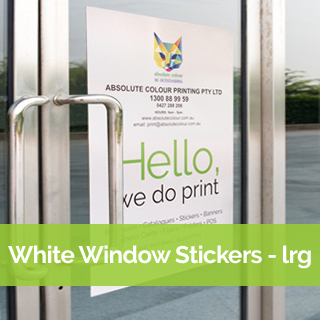 Sticker printing services for use indoors, outdoors, on product packaging and equipment. Talk to our consultant which style of stickers and labels are best for your project. Leave your branding behind – permanently with our stickers and label printing services. Product packaging and promotional items – sticker printing services for paper and plastic product packaging. Suitable for retail and wholesale products. Removable or permanent stickers. Stickers and labels – security and asset – durable permanent stickers and labels printing for clear identification of company name, product number, barcode, variable alpha-numeric number, tamper evident. Printed on high quality polyester, vinyl and aluminium. External and internal use. Large stickers for signage and displays – from 1 to many. 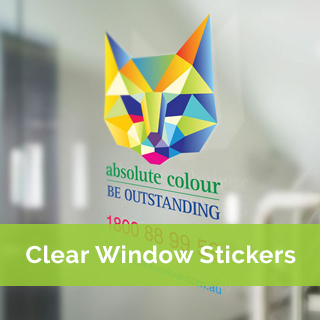 These wide format stickers are suitable for indoor and outdoor use. White vinyl, clear vinyl, one way window vision, repositionable and floor graphics. Our consultants will help you make the right choice for your project.